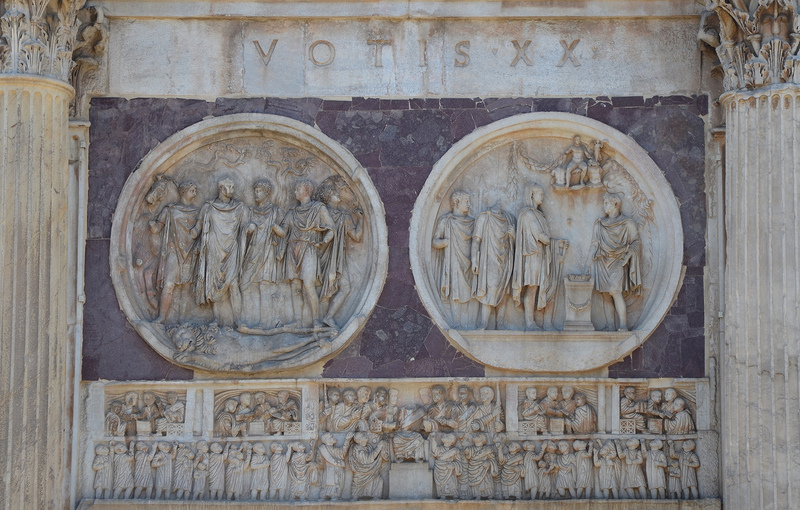 The Arch of Constantine, dedicated on 25 July 315 CE, stands in Rome between the Colosseum and the Palatine Hill, at what was once the beginning of the Via Triumphalis. As described on its attic inscription, it commemorates Constantine’s victory at the Battle of the Milvian Bridge on 28 October 312 CE over the tyrant Maxentius who had ruled Rome since 306 CE. It is one of the largest surviving Roman triumphal arches.